It is our great pleasure to announce that Sophia Z. Lee will be joining us as a guest blogger for the next month. She is Professor of Law and History at the University of Pennsylvania Law School, where she teaches administrative law, employment law, and constitutional history and theory. 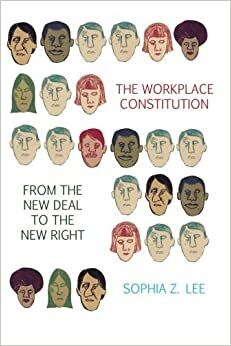 She is also the author, most recently, of The Workplace Constitution from the New Deal to the New Right (Cambridge University Press) (a glimpse of which you can get here.) Her work has previously appeared in the Yale Law Journal, the Virginia Law Review, and the Law & History Review. Professor Lee has a J.D. and a Ph.D. in history from Yale University, as well as a Masters in Social Work from the University of California, Berkeley. Prior to joining the faculty at Penn Law, she held the Samuel I. Golieb fellowship at New York University School of Law and served as a law clerk to the Honorable Kimba M. Wood (U.S. District Court for the Southern District of New York). Geoffrey Stone, Chicago Law, the author of, among other things, Perilous Times Free Speech in Wartime from the Sedition Act of 1780 to the War On Terrorism, reflects on his service on President Obama’s review group to study national security and information privacy issues here. ICYMI: Joanna L. Grossman, Hofstra Law, coauthor of Inside the Castle: Law and the Family in 20th Century America, on marriage equality in the US Supreme Court in Justia. From Inside Higher Ed: A law school vice dean tells students that the historical record could do without the gender biased comments they have been leaving in female professors' teaching evaluations ("If you have any doubts that posterity will somehow muddle through without the benefit of your fashion advice, allow me to dispel them once and for all”). More on the John Hope Franklin Centennial at Duke. In recent years, scholars from a variety of disciplines have embarked on an innovative wave of multidisciplinary research on the social, political, and historical sources and consequences of taxation. We invite interested graduate students from history, law, public policy, and the social sciences to participate in a one-day workshop on this "new fiscal sociology." In addition to brief lectures introducing students to the basics of taxation and the comparative history of taxation, the workshop will consist of discussion of classic and contemporary texts. The graduate student workshop will be held on Wednesday, November 11th, 2015 in Baltimore, Maryland in conjunction with the annual meeting of the Social Science History Association (SSHA). Interested students will also have a chance to present their own work on Thursday, November 12th, as part of the SSHA conference. New Release: Romano, "Racial Reckoning Prosecuting America's Civil Rights Murders"
Few whites who violently resisted the civil rights struggle were charged with crimes in the 1950s and 1960s. But the tide of a long-deferred justice began to change in 1994, when a Mississippi jury convicted Byron De La Beckwith for the 1963 murder of Medgar Evers. Since then, more than one hundred murder cases have been reopened, resulting in more than a dozen trials. But how much did these public trials contribute to a public reckoning with America’s racist past? Racial Reckoning investigates that question, along with the political pressures and cultural forces that compelled the legal system to revisit these decades-old crimes. Renee C. Romano brings readers into the courthouse for the trials of the civil rights era’s most infamous killings, including the Birmingham church bombing and the triple murder of Andrew Goodman, James Chaney, and Mickey Schwerner. The activists who succeeded in reopening these cases hoped that bringing those responsible to justice would serve to highlight the state-sanctioned racism that had condoned the killings and the lingering effects of racial violence. Courtroom procedures, however, worked against a deeper exploration of the state’s complicity in murder or a full accounting of racial injustices, past or present. Yet the media and a new generation of white southerners—a different breed from the dying Klansmen on trial—saw the convictions as proof of the politically rehabilitated South and stamped “case closed” on America’s legacy of violent racism. Romano shows why addressing the nation’s troubled racial past will require more than legal justice. More information, including an interview with the author, is available here. In 1945, the Supreme Court blessed a lesser known type of agency deference in Bowles v. Seminole Rock. Also known as Auer deference, it affords deference to agency interpretations of their own regulations. Courts regularly defer to agencies under this doctrine, regardless of where the interpretations first appear or how long-standing they are. Though Seminole Rock has come under scrutiny in recent years from scholars and the Supreme Court, the modern debate on whether and how to reform Seminole Rock deference still remains untethered from its roots and evolution. This Article is the first to consider the historical foundations of Seminole Rock and closely examine how this doctrine has risen to its current stature. In particular, this Article starts by describing Seminole Rock’s modest origins, which began in relatively limited price control contexts in the 1940s and 1950s during the first period of expansion of the modern administrative state. 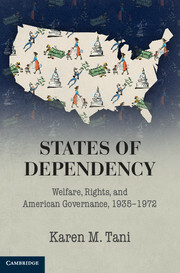 It goes on to examine the changing tides of the 1960s and describes how Seminole Rock deference shed its origins and emerged as a more widely-applied doctrine of judicial restraint by the 1970s, a time in which we experienced yet another expansion of the administrative state and a major transformation in administrative law theory. Most notable, the gradual but broad expansion of the Seminole Rock doctrine has occurred largely without explanation from the courts and with very little commentary from academics. This Article details how, from its highly specific origins in 1945 to its evolution as an “axiom of judicial review” by the 1970s, Seminole Rock escaped critical examination by courts and scholars. By uncovering the historical roots of the Seminole Rock doctrine, this Article provides new depth to the emerging critiques of Seminole Rock deference and lends critical support for reexamination of the doctrine. The Max-Planck Summer Academy for Legal History, offered by the Max Planck Institute for European Legal History (MPIeR), provides an in-depth introduction to methods and principles of research in legal history. Although its main focus is on European legal history, there is special emphasis on global perspectives on legal history. It addresses a selected group of highly motivated early-stage researchers, usually PhD candidates, working on a research project with an interest in the basic research of historical formation and transformations of law and other normative orders. The academy consists of two modules and lasts two weeks; the first week provides an introduction to the study of sources, methodological principles, as well as theoretical models and controversial research debates on basic research fields of legal history (module 1). During the second week the participants discuss a special research theme and develop their own approach to the theme (module 2). The next Summer Academy will take place from July 27 until August 7, 2015. The overall aim of the Max Planck Summer Academy for Legal History is to provide PhD candidates with an expertise on the methods and principles of legal history and to equip them with the ability to apply this knowledge to their research projects and other research in legal history or related disciplines. Lectures and workshops in history of legal history, methodological principles of legal history, antiquity, legal history in antiquity, Ius Commune, legal bibliography, history of private law in the modern era, constitutional history, history of criminal law, and history of international law form the core of the academy. Meetings take place at 5:15pm in the History Faculty boardroom. All are welcome. Any questions to Joe Sampson (jws43@cam.ac.uk). New Release: Rabb, "Doubt in Islamic Law"
This book considers an important and largely neglected area of Islamic law by exploring how medieval Muslim jurists resolved criminal cases that could not be proven beyond a doubt. 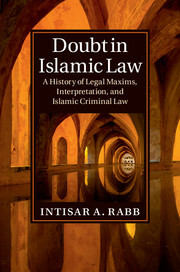 Intisar A. Rabb calls into question a controversial popular notion about Islamic law today, which is that Islamic law is a divine legal tradition that has little room for discretion or doubt, particularly in Islamic criminal law. Despite its contemporary popularity, that notion turns out to have been far outside the mainstream of Islamic law for most of its history. Instead of rejecting doubt, medieval Muslim scholars largely embraced it. In fact, they used doubt to enlarge their own power and to construct Islamic criminal law itself. 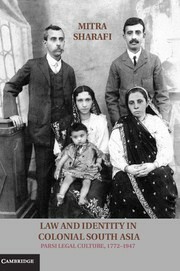 Through a close examination of legal, historical, and theological sources, and a range of illustrative case studies, this book shows that Muslim jurists developed a highly sophisticated and regulated system for dealing with Islam's unique concept of doubt, which evolved from the seventh to the sixteenth century. New Release: Smith, "A Historical and Legal Study of Sovereignty in the Canadian North: Terrestrial Sovereignty, 1870-1939"
Gordon W. Smith, PhD, dedicated much of his life to researching Canada's sovereignty in the Arctic. A historian by training, his 1952 dissertation from Columbia University on "The Historical and Legal Background of Canada's Arctic Claims" remains a foundational work on the topic, as does his 1966 chapter "Sovereignty in the North: The Canadian Aspect of an International Problem," in R. St. J. Macdonald's The Arctic Frontier. This work is the first in a project to edit and publish Smith's unpublished opus a manuscript on "A Historical and Legal Study of Sovereignty in the Canadian North and Related Law of the Sea Problems." Written over three decades (yet incomplete at the time of his death in 2000), this work may well be the most comprehensive study on the nature and importance of the Canadian North in existence. Volume 1: Terrestrial Sovereignty provides the most comprehensive documentation yet available on the post-Confederation history of Canadian sovereignty in the north. As Arctic sovereignty and security issues return to the forefront of public debate, this invaluable resource provides the foundation upon which we may expand our understanding of Canada's claims from the original transfers of the northern territories in 1870 and 1880 through to the late twentieth century. The book provides a wealth of detail, ranging from administrative formation and delineation of the northern territories through to other activities including government expeditions to northern waters, foreign whaling, the Alaska boundary dispute, northern exploration between 1870 and 1918, the background of Canada's sector claim, the question concerning Danish sovereignty over Greenland and its relation to Canadian interests, the Ellesmere Island affair, the activities of American explorers in the Canadian North, and the Eastern Arctic Patrol. The final chapter examines the Eastern Greenland case and its implications for Canada. Free PDFs of individual chapters are available for download here, at the Press's website. For many advocates of European integration in the late 1940s and early 1950s, the seeming example of technocratic independence under the New Deal offered a justification for the delegation of regulatory power to autonomous supranational bodies. The New Deal represented, from this perspective, the triumph of “functionalist” governance — that is, governance that evolved as a function of the problems it sought to address, rather than being determined by seemingly outdated constitutional categories (“separation of powers” in the purported case of the New Deal, “national sovereignty” in European integration). The irony, of course, was that Roosevelt’s New Deal was much less receptive, both in principle and practice, to the sort of technocratic independence that these advocates believed to be inevitable and desirable in the case of integration. Indeed, consistent with a more nuanced understanding of the New Deal model, European integration would eventually secure a durable institutional existence only after being brought more directly under the shared control and oversight of the national executives of the member states. Contrary to expectations of functionalist (and later so-called neofunctionalist) theorists, governance beyond the state in postwar Western Europe did not evolve merely as a consequence of functional demands for technocratic independence. 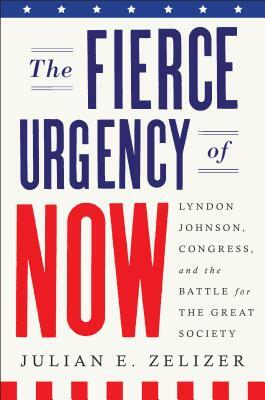 Rather, two additional dimensions of change also proved decisive: the political — or the defense of existing institutional advantages and/or the struggle to realize new ones; and the cultural — or the mobilization of conceptions of “right” or legitimate governance in the face of purported functional and political pressures for change. As a consequence of the interplay of all three dimensions — functional, political, and cultural — European integration ultimately settled on a form of governance in which the political oversight and control of national executives played a decisive role, a feature of European supranationalism that persists to this day. Even if a measure of supranational technocratic autonomy was broadly recognized as functionally necessary to the European project, national executives worked successfully to preserve significant institutional advantages in the integration process by mobilizing conceptions of legitimacy that, for better or worse, remain wedded to national institutions to a significant degree. It was through national executive oversight — eventually supplemented by national parliamentary and national judicial oversight — that integration has been able to maintain a connection to conceptions of democratic and constitutional legitimacy on the national level, even as functional pressures seemed to warrant a shift in governance to autonomous supranational bodies. New Release: Bohme, "Toxic Injustice"
Duke University will hold events during the next year paying tribute to preeminent historian John Hope Franklin, who would have turned 100 years old this January. We’ve previously posted on Women Trailblazers in the Law, an oral history project now sponsored by the American Bar Association’s Senior Lawyers Division. I am now pleased to report that two essays relating to that project are now available for free download. They are Memorializing the Work and Lives of Women Trailblazers in the Law, by Brooksley Born and Linda Ferren, and The Rules of Engagement: How Women Attorneys Broke Law’s Glass Ceiling, by Jill Norgren. Both appeared in the ABA’s Senior Lawyers Division’s publication, Voice of Experience. Timothy S. Huebner, “Emory Speer and Federal Enforcement of the Rights of African Americans, 1880-1910"
M.C. Mirow, “Law in East Florida 1783-1821"
This exhibit was curated by Margaret Peachy and Mary Person, Historical & Special Collections, Harvard Law School Library. It will be on view through April 24, 2015 in the Harvard Law School Library's Caspersen Room. 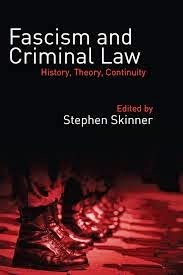 New from Hart Publishing is the collection of essays, Fascism and Criminal Law: History, Theory, Continuity, edited by Stephen Skinner, University of Exeter. Fascism was one of the twentieth century’s principal political forces, and one of the most violent and problematic. Brutal, repressive and in some cases totalitarian, the fascist and authoritarian regimes of the early twentieth century, in Europe and beyond, sought to create revolutionary new orders that crushed their opponents. A central component of such regimes' exertion of control was criminal law, a focal point and key instrument of State punitive and repressive power. This collection brings together a range of original essays by international experts in the field to explore questions of criminal law under Italian Fascism and other similar regimes, including Franco's Spain, Vargas's Brazil and interwar Romania and Japan. Addressing issues of substantive criminal law, criminology and ideology, the form and function of criminal justice institutions, and the role and perception of criminal law in processes of transition, the collection casts new light on fascism's criminal legal history and related questions of theoretical interpretation and historiography. At the heart of the collection is the problematic issue of continuity and similarity among fascist systems and preceding, contemporaneous and subsequent legal orders, an issue that goes to the heart of fascist regimes' historical identity and the complex relationship between them and the legal orders constructed in their aftermath. The collection thus makes an innovative contribution both to the comparative understanding of fascism, and to critical engagement with the foundations and modalities of criminal law across systems. A pdf of the TOC is here. Dissent has a review by Samuel Moyn titled, "Fantasies of Federalism," which reviews both Frederick Cooper's Citizenship between Empire and Nations: Remaking France and French Africa, 1945-1960 (Princeton University Press) and Gary Wilder's Freedom Time: Negritude, Decolonization, and the Future of the World (Duke University Press). 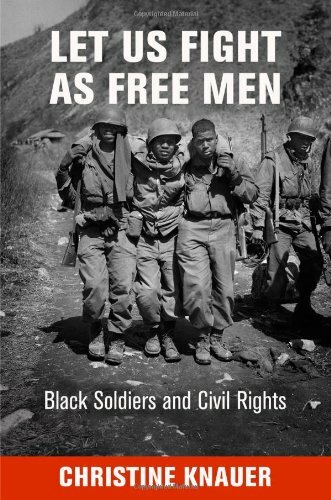 On Books & Ideas, Olivier Burtin reviews Let Us Fight as Free Men: Black Soldiers and Civil Rights by Christine Knauer (University of Pennsylvania Press). "The greatest scholarly contribution of Let Us Fight as Free Men, its emphasis on discourse and textual analysis, is also the source of its greatest limitation. By focusing so much on what her actors said, Knauer often either forgets to provide the necessary contextual information—for instance when she mentions the first victory in Korea by an all-black unit in July 1950 (p. 175) without telling us exactly how this victory came about—or, inversely, dwells on topics that seem only loosely connected with the main theme of her story—as is the case with her lengthy discussion of how the black press fell victim to Orientalist clichés in its coverage of South Korean soldiers and women (pp. 153-159). The result is a book whose narrative thread may be difficult to follow for readers not already familiar with the details of this time period." The Federal Lawyer has new reviews this week, including one of a volume edited by John Oberdiek, Philosophical Foundations of the Law of Torts (Oxford University Press) and another review of Sotirios Barber's The Fallacies of States' Rights (Harvard University Press). Both reviews are available here. The Los Angeles Review of Books has a review of Robert P. Burns's Kafka's Law: The Trial and American Criminal Justice (University of Chicago Press). "JUSTICE ANTHONY KENNEDY once famously suggested that the procedural nightmare depicted in Franz Kafka’s The Trial “is actually closer to reality than fantasy as far as the client’s perception” of our criminal justice system. In his short but dense work, Kafka’s Law: The Trial and American Criminal Justice, Robert P. Burns takes the comparison further, beyond the client’s perception to the realities of our system itself. This is a deeply pessimistic study about the way justice is meted out in this country. " 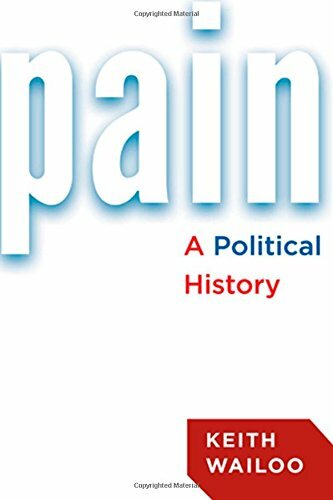 The New Books series has an interview with Keith Wailoo about his new book, Pain: A Political History (Johns Hopkins University Press) and another interview with Jan Lemnitzer about his book, Power, Law and the End of Privateering (Palgrave). ""Ghettoside" is her penetrating look at the Los Angeles Police Department — the title is taken from the nickname a Watts gang member gave to his neighborhood. A staff writer at the L.A. Times and the creator of a popular blog, Homicide Report, Leovy is not a newcomer to crime reporting. 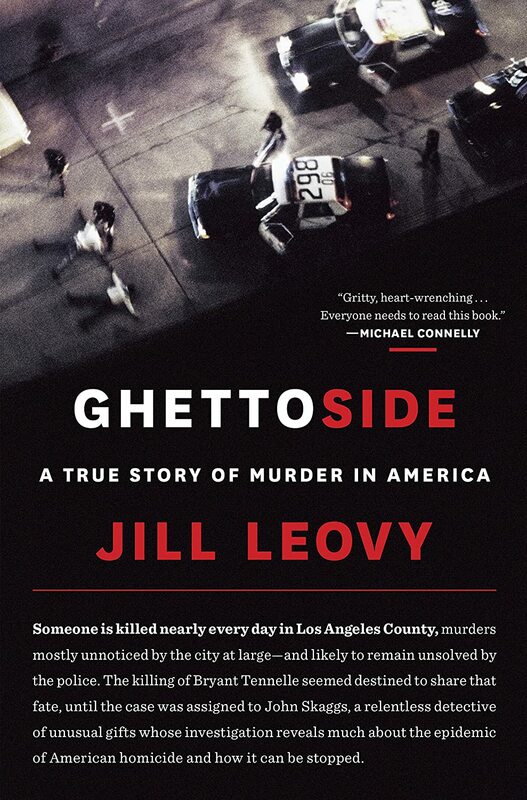 In "Ghettoside," she adopts an anthropologist's gaze to unravel the workings of this tribe. She tracks the daily movements of homicide detectives working cases that rarely attract the media spotlight. Think "Boyz N the Hood," not "Chinatown" and "L.A. Confidential." This is gritty reporting that matches the police work behind it." On H-Net, Karen J. 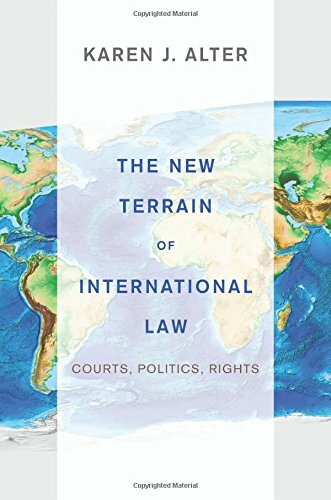 Alter's The New Terrain of International Law: Courts, Politics, Rights (Princeton University Press) is reviewed. "Karen J. Alter’s The New Terrain of International Law explores the immense contribution that international courts and tribunals provide in the development and strengthening of international law and international politics. In doing so, Alter, a professor of political science and law at Northwestern University, builds from an impressive amount of historical, political, and legal data. Alter starts from the observation that the proliferation of international courts and tribunals is a real paradigm changer for international law, and, importantly, she seeks to conceptualize how these new-style international courts affect domestic and international politics across different states, courts, cases, and issues." Via the Canadian Legal History Blog: The Canadian Law and Society Association invites submissions for its annual Graduate Student Essay Prize. From In Custodia Legis: Coverage of Ruth Mazo Carras's lecture on "Law in the Lives of Medieval Women" (part of the Magna Carta Lecture Series). From the Chronicle of Higher Education: Observations about bad behavior at academic conferences and tips for making sure you're not "that guy/gal" at your next one. "The Legal Manufacturing of Hardworking Bastards: Marriage, Bastardy, Apprenticeship, and the Policing of Race and Labor in North Carolina, 1741-1870"
Social Conflict and Social Practice in Late 19th Century America"
"The Sporting Life: Democratic Culture and the Historical Origins of the Scottish Right to Roam"
"From the Streets to the Courts: The Grassroots History of Colorblind Conservatism"
In recent years, numerous lawmakers, policy analysts, and scholars have been decrying the many defects of the present U.S. income tax system. Few have attempted to defend our return-based mass income tax. 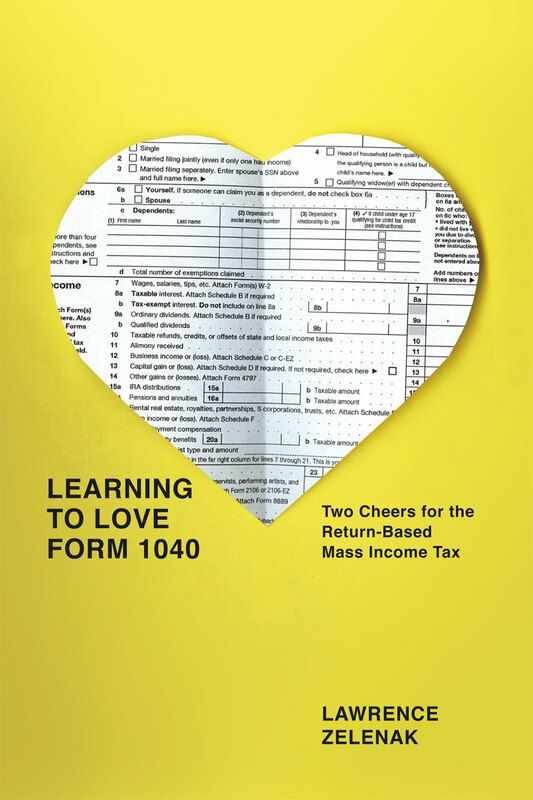 This essay reviews Learning to Love Form 1040, Lawrence Zelenak’s stirring and persuasive defense of a simplified version of our present federal income tax system. In contrast to the conventional economic critiques, Zelenak explores the underappreciated social, cultural, and political benefits of a return-based, mass income tax. Chief among these, he argues, is the existing regime’s potential to raise the tax consciousness of the average citizen and to enhance modern notions of fiscal citizenship. In addition to reviewing the central claims and findings of Learning to Love Form 1040, this essay argues that, like most provocative texts, this book is not the final word on U.S. tax reform. In the process of starting an important conversation, Zelenak leaves open several significant issues. After assessing the book’s evidentiary base, particularly its historical claims about the World War II origins of the U.S. mass income tax and changing American attitudes towards taxation, this essay turns to Zelenak’s specific reform proposals and highlights some of the missed opportunities. Finally, the review concludes by contending that Zelenak’s original and inspiring defense of the income tax is a uniquely early twenty-first-century project – one that at times wistfully reflects on an earlier age to show how we can revive a robust and pragmatic sense of fiscal citizenship. The full review essay is available here. 30 March: Orna Alyagon Darr (Carmel), "Sexual Offences and Ethnic Identity in Mandate Palestine"
15 April: Mayo Moran (Toronto), "The Problem of the Past: How Historic Wrongs Became Legal Problems"
29 April: Ido Israelowich (Tel Aviv University), "Roman provincial jurists during the High Empire: Towards a vocational history"
13 May: Roy Kreitner (Tel Aviv University), "Reconstituting the Dollar: Civil War Reconfiguration of the Monetary System"
20 May: Richard Ross (University of Illinois), "Binding in Conscience: Early Modern English Protestants and Spanish Thomists on Law and the Fate of the Soul"
27 May: Guillaume Calafat (Paris I), "'What law is it there?' Legal pluralism and procedures in the Early Modern Western Mediterranean"
3 June: Mark Lewis (CUNY), "The History of the International Association of Penal Law, 1924-1950: Conservative, Progressive, or Neither?" 10 June: Arthur McEvoy (Southwestern), "Every Little Bit Helps: Environmental Law in the United States After 1980"
Legal historians who would like to attend any of these sessions should contact one of the TAU Legal History Workshop organizers (Leora Bilsky, David Schorr, or Lena Salaymeh). Ablavsky, "Beyond the Indian Commerce Clause"
The Supreme Court has described the Indian Commerce Clause as the primary constitutional basis for federal exclusive and plenary power over Indian affairs. Recently, Justice Clarence Thomas, citing current scholarship, has argued that the Clause’s original understanding does not support this authority, with radical implications for current doctrine. This Article uses unexamined historical sources to question this debate’s fundamental premise. It argues that the Indian Commerce Clause, open-ended when written, was a minor component of eighteenth-century constitutional thought. This Article instead posits alternate sources for federal authority over Indian affairs, drawing particularly on the Washington Administration. Asserting federal power against the states, the Administration embraced a holistic constitutional reading akin to present-day field preemption. With respect to authority over Indians, the Administration, through law-of-nations interpretations, asserted ultimate U.S. sovereignty over tribes, while acknowledging Native autonomy beyond these limitations. Yet these supposedly narrow legal principles ultimately formed the basis for the later elaboration of plenary power over tribes. On the one hand, this history provides a more solid foundation for doctrinal principles derided as incoherent. On the other hand, it suggests more cabined federal authority over Indians. Ultimately, the Article demonstrates the value of more historically grounded reconstructions of constitutional understandings. 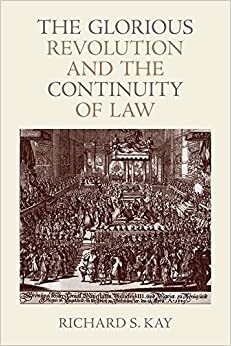 The Glorious Revolution and the Continuity of Law explores the relationship between law and revolution. Revolt - armed or not - is often viewed as the overthrow of legitimate rulers. Historical experience, however, shows that revolutions are frequently accompanied by the invocation rather than the repudiation of law. No example is clearer than that of the Glorious Revolution of 1688-89. At that time the unpopular but lawful Catholic king, James II, lost his throne and was replaced by his Protestant son-in-law and daughter, William of Orange and Mary, with James's attempt to recapture the throne thwarted at the Battle of the Boyne in Ireland. The revolutionaries had to negotiate two contradictory but intensely held convictions. The first was that the essential role of law in defining and regulating the activity of the state must be maintained. The second was that constitutional arrangements to limit the unilateral authority of the monarch and preserve an indispensable role for the houses of parliament in public decision-making had to be established. In the circumstances of 1688-89, the revolutionaries could not be faithful to the second without betraying the first. Their attempts to reconcile these conflicting objectives involved the frequent employment of legal rhetoric to justify their actions. In so doing, they necessarily used the word "law" in different ways. It could denote the specific rules of positive law; it could simply express devotion to the large political and social values that underlay the legal system; or it could do something in between. In 1688-89 it meant all those things to different participants at different times. This study adds a new dimension to the literature of the Glorious Revolution by describing, analyzing and elaborating this central paradox: the revolutionaries tried to break the rules of the constitution and, at the same time, be true to them. In early 20th-century Yemen, a sizable Jewish population was subject to sumptuary laws and social restrictions. Jews regularly came into contact with Islamic courts and Muslim jurists, by choice and by necessity, became embroiled in the most intimate details of their Jewish neighbors’ lives. Mark S. Wagner draws on autobiographical writings to study the careers of three Jewish intermediaries who used their knowledge of Islamic law to manipulate the shari‘a for their own benefit and for the good of their community. The result is a fresh perspective on the place of religious minorities in Muslim societies. In 2005, India passed a law giving individuals the right to information on the State’s acts and decisions. Using this law, the authors in this edited volume applied for official records about four of the worst episodes of mass violence in independent India. These traumatic events had not previously been scrutinised using the recently-minted law on this scale. The authors filed over 800 applications for information; the results of their unusual endeavour led to this book. 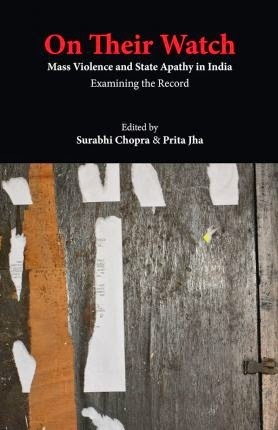 Sifting through hundreds of government documents on criminal justice, administrative discipline, commissions of inquiry, emergency relief and monetary compensation, the authors examine the State’s response to sectarian violence in Nellie in 1983, Delhi in 1984, Bhagalpur in 1989 and Gujarat in 2002. Hundreds of people, most of them religious minorities, were killed, injured, displaced from their homes, and stripped of their livelihoods in these episodes of mass violence. In each instance, violence was encouraged by the politically powerful and tolerated by the police. This book examines official records and shows how State apathy in the wake of violence thwarted attempts to rehabilitate survivors and punish perpetrators. These failures are not simply an unfortunate coincidence. The State’s own records reveal that national and state governments have been negligent in recurring, systematic ways. By detailing how State processes have failed, this disquieting book demonstrates that the State could have pursued justice and reparation for victims of mass violence in the past, and could, in substantial measure, still do so. The graduate students of McGill's Faculty of Law are pleased to announce their annual graduate law conference. We invite fellow graduate students to submit abstracts for presentation at the conference and to join us in the exchange and development of new ideas, concepts and approaches to law. Designed specifically for graduate students, this conference creates a safe and dynamic forum for new and emerging scholars to stretch intellectual boundaries and build academic networks. Conference participants will have the opportunity to share in McGill University's rich intellectual community and longstanding tradition of fostering creative and original thinking - all the while within the vibrant and captivating environment of Canada's culture capital. The theme of this year's conference, "Inside and Out: Probing the Boundaries of Law", encourages participants to think beyond the traditional frontiers of state-made-law and law as a distinctive discipline. Submissions may focus on a substantial 'legal' issue or serve as an inquiry into the margins of legal scholarship itself. Examples of topics related to this theme may include, but are not restricted to, legal pluralism, alternative dispute resolution mechanisms and law and the social sciences. Central to pushing the traditional limits of law is the acceptance of greater diversity in legal actors and legal sources. To what extent is the law equipped to accommodate for such diversity? Is such diversity a strength or a weakness? Views and perspectives of the law and what lies within and outside the boundaries of law are deeply personal. They are molded by our own individual histories and experiences. Scholars are invited to reflect on how the diversity of our backgrounds and experiences affect our legal scholarship. How does this diversity affect solidarity within the legal community? The theme of this conference will not be limited to any particular question or area of law. The substantive agenda for this conference will be set by those questions and topics most important to graduate students wishing to participate. We encourage scholars to think creatively about the conference theme and how their own research interests fit into it. Please send a 300 word abstract to grad-conference.law@mcgill.ca. Submissions written in both English and French will be accepted. The closing date for submissions to be considered by the conference committee is 23 February 2015. Successful applicants will be informed by 13 March 2015 and will be required to submit a minimum 2000 word paper in advance of the conference. Holdren on Employment Risks under Workmen’s Compensation in the Early 20th-C. U.S. This article takes criticisms of employment discrimination in the aftermath of the creation of workmen’s compensation legislation as a point of entry for arguing that compensation laws created new incentives for employment discrimination. Compensation laws turned the costs of employees’ workplace accidents into a risk that many employers sought to manage by screening job applicants in a manner analogous to how insurance companies screened policy applicants. While numerous critics blamed insurers for discrimination, I argue that the problem was lack of insurance. The less that companies pooled their compensation risks via insurance, the greater the incentives for employers to stop employing people they would have previously been willing to hire. Subscribers to Project Muse may access full content here. 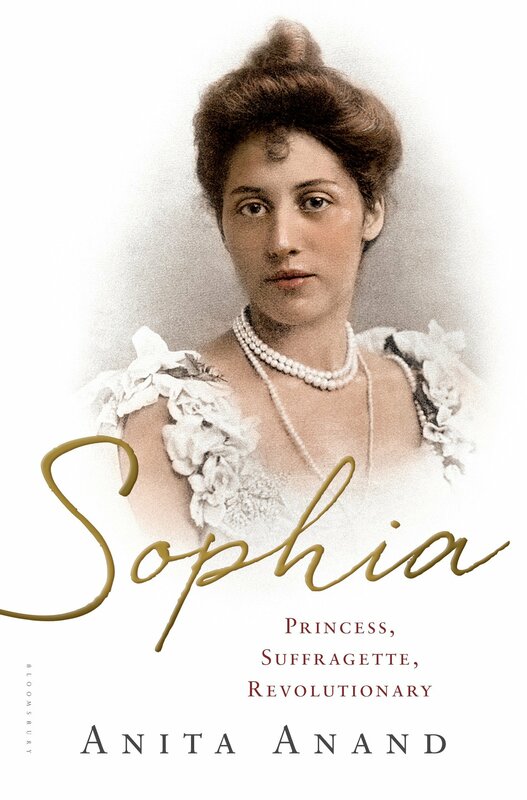 This weekend there are two reviews of Sophia: Princess, Suffragette, Revolutionary by Anita Anand (Bloomsbury)--one in The Guardian, here, and a second in the New Statesman, here. "She was one of the early tax resisters, refusing to pay for licences for her dogs and carriage. She ignored all letters demanding payment until she was issued with a fine. 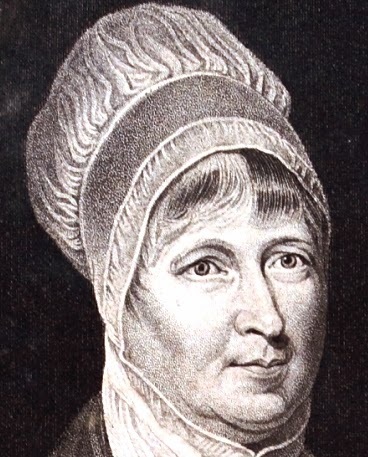 Instead, she equipped her lawyer with a disquisition on female suffrage and the injustice of taxation without representation and sent him to court to read it to the judge. Eventually bailiffs turned up at her house and seized a seven-stone diamond ring, worth far more than she owed. But the suffragettes won the war: when the ring came up at auction, they flooded the auction house and refused to bid for it until the auctioneer was forced to lower the starting bid to £10 – at which price it was bought by a suffragette and returned to Sophia, amid rapturous applause." Eric Foner has a new book out next week, Gateway to Freedom: The Hidden History of the Underground Railroad (Norton), and it is discussed in the NYT, here. Thieves of State: Why Corruption Threatens Global Security by Sarah Chayes (Norton) is reviewed in The Washington Post. 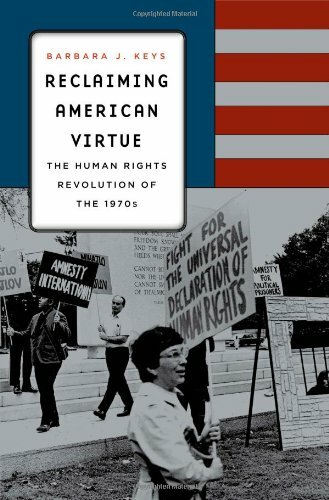 Then there's Reclaiming American Virtue: The Human Rights Revolution of the 1970s by Barbara Keys (Harvard University Press), reviewed on H-Net. Rick Perstein's The Invisible Bridge (Simon & Scuster) is reviewed on HNN. "The information comes at us steadily—there are useful facts on almost every page—but the narrative is spartanly furnished. There’s little portraiture, not much drama, and only enough mood-setting context to let us know what America was up to while L.B.J. and Congress were contriving new ways to strengthen the social safety net and exhaust the national treasury. The emphasis falls instead on the high, and sometimes low, workings of legislative government, as bills inched through committees and subcommittees, nicked and scarred in “mark-up” sessions; the feint-and-parry of parliamentary maneuver; and, above all, the votes. / This patient no-frills approach offers illuminations that a more cinematic treatment might not. " And, All Eyes Are Upon Us: Race and Politics from Boston to Brooklyn by Jason Sokol (Basic) is also reviewed on HNN. From New York Magazine: 53 Historians Weigh In on Barack Obama's Legacy. It's a pretty stunning list of contributors, including Annette Gordon-Reed (Harvard Law School), Daniel Rodgers (Princeton University), and LHB founder Mary Dudziak (Emory Law). Did your new year's resolutions include making more time for writing? The Chronicle of Higher Education and Inside Higher Ed have advice for you (here and here, respectively). If you're interested in submitting a proposal for the 2016 meeting of the Organization of American Historians, the deadline (Jan. 23) is approaching. The CFP is available here. Via the Chronicle of Higher Education: "[A] growing number of universities . . . have a full-time administrator solely dedicated to career preparation for graduate students." Read on here. From the Faculty Lounge: coverage of an AALS panel on the legacy of Griswold v. Connecticut, including interesting historical re-framings by Cary Franklin (University of Texas School of Law) and Melissa Murray (UC Berkeley Law). Kenneth W. Mack, Harvard Law School, will deliver the eleventh annual Philip Pro Lecture in Legal History at the University of Nevada Law School on February 2, 2015. Past lecturers include Jack Rakove, Geoffrey Stone, Sarah Barringer Gordon, John Witte Jr., Larry Kramer, Joyce Appleby, Frank Zimring, Tomiko Brown-Nagin, and Alison LaCroix. In October 1965, President Lyndon B. Johnson signed the Immigration and Nationality Act. Also known as the Hart-Celler Act, this legislation decisively shaped the patterns of immigration to the United States and global migration that still continue today. This conference aims to use the 50th anniversary of this pivotal legislation in 2015 as an opportunity to explore the latest scholarship on American immigration, assess the state of the field, and identify new tasks and challenges for immigration scholars. Coming from a wide range of academic disciplines, including history, literature, cultural studies, sociology, anthropology, political science, and law, participants in this interdisciplinary conference collectively seek to achieve a better understanding of issues and problems associated to American immigration today under the theme of “Managing Borders.” Broadly defined, “Managing Borders” encourages participants to examine the diverse roles of real and imaginative “borders” in the history of American immigration up to the present. How has the government developed and implemented policies for border control? How have immigrants crossed various kinds of borders and how were their border-crossing experiences like? How have social, cultural, economic, racial, and psychological factors shaped the relationship, a form of border, between citizens and noncitizens, between ethnic groups, or within a single ethnic group? How has immigration to the United States, or border-crossing to America, fitted into broader trends of global migration? How have scholars conceptualized various types of borders in the study of American immigration and global migration? Finally, what kinds of disciplinary borders now exist in migration scholarship, and how can we transcend them? As a whole, the conference hopes to provoke conversations that would lead the study of American immigration in an age that is simultaneously borderless and border-raising. Check out the confirmed participants after the jump. In 1919, Justice Oliver Wendell Holmes introduced the specter of a man falsely shouting fire in a theater into First Amendment law. Nearly one hundred years later, this analogy remains the most enduring analogy in constitutional law. It has been relied on in hundreds of constitutional cases and it has permeated popular discourse on the scope of individual rights. This Essay examines the both the origins and the later life of Holmes’s theater analogy. Part One is a detective story, seeking to solve the mystery of how Holmes came up with this particular example. This story takes us to the forgotten world of the late nineteenth and early twentieth centuries, when false shouts of fire in theaters were a pervasive problem that killed hundreds of people both in the United States and Great Britain. The person who shouted “fire” in a crowded theater was a recognizable stock villain of popular culture, condemned in newspapers, magazines and books from coast to coast. The analogy, lifted by Holmes from a federal prosecutor in Cleveland, was rooted in this larger world of popular culture. Understanding this world also answers another question: Why do lawyers and non-lawyers alike refer to “shouting fire in a crowded theater” rather than “falsely shouting fire in a theater and causing a panic,” which is what Holmes actually wrote? Along the way, we will encounter a real detective and even a mustachioed villain. Part Two is based on an empirical study of the 278 subsequent judicial opinions that employ the theater analogy. In lower courts, opinions that invoke the analogy, not surprisingly, typically reject free speech claims, but opinions that paraphrase Holmes are, counter-intuitively, more receptive to free speech claims than opinions that quote Holmes precisely. The Essay concludes by noting that the theater analogy has largely lost its capacity to frighten in the visceral way that Holmes’s audience would have understood it. Although it persists in constitutional law, it has become rarified and largely abstract, perhaps contributing in some small way to the general libertarian trend of modern First Amendment law. 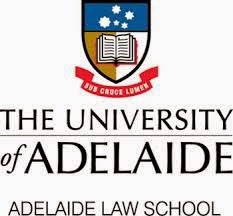 The conference theme is “Legal Reform and Innovation.” Although a majority of ANZLHS conference papers focus on Australian and New Zealand legal history, we welcome contributions without regard to period or place covered. The 2015 conference will also incorporate a third (and positively final) Adelaide Blackstone symposium. Following “William Blackstone: Life, Thought, Influence”(2007) and “Re-interpreting Blackstone’s Commentaries” (2012), the 2015 symposium will discuss “Blackstone and his Critics.” On Wednesday 9 December, it is anticipated that there will be a Workshop for Early Career Researchers and Higher Degree by Research students. As you know I'm working on a new legal history NEH Collaborative Research Project. We have been digitizing the case files, and we presented some of our research recently at the AHA panel on "Digital Histories of Slavery." The Early Washington, D.C. Law and Family Project explores multi-generational black and white family networks in early Washington, D.C., by collecting, digitizing, making accessible, and analyzing over 4,000 civil and criminal case files from the D.C. Court, particularly in the early years of the court from 1800 to 1820. We will soon be releasing for scholars, students, and the public at earlywashingtondc.org all of the case files and minute book entries for all petitions for freedom filed in the D.C. Court between 1800 and 1862. I want you to know that we are holding a virtual conference on legal history, and the prospects for digital legal history work. For the virtual conference we are interested in either faculty or graduate students who are doing work on any aspect of law and procedure (habeas corpus, petitions for freedom, hearsay, . . .), legal actors (judges, attorneys, jurors, . . . ), the business of the court, a leading case, or other topics in legal history. This is a great opportunity to have work in progress reviewed and read. I hope you might participate in either session or encourage your students to submit a paper for circulation. It will be facilitated through Google Hangouts and will consist of two sessions. Paper Session: The first session will be held on Thursday March 19 @ 1 PM-3:00 PM CST. This will be a "workshop" session designed to provide peer feedback for in-progress scholarly papers dealing with any aspect of legal or digital history. We are seeking multiple short papers (10-12 pages) to be pre-circulated and workshopped. Each paper/presenter will receive 15-20 minutes to engage with others about their research. Open Forum: The second session will be an open forum discussing the possibilities of the digital medium for legal scholarship. It will be held on Friday, March 20 @ 1 PM CST and will be led by designers of the "O Say Can You See Project." If you would like to submit a paper proposal for workshop consideration, please submit your paper proposal (title and 150-words) [here] or to jeremiah.bauer@huskers.unl.edu. Proposals are due February 8, and completed papers will be circulated on March 1. I hope that you might circulate this email or invitation to others who might be interested and encourage them to participate in either session. I'm happy to answer questions. New Jersey’s legal system was plagued with injustices from the time the system was established through the mid-twentieth century. In Battleground New Jersey, historian and author of Boardwalk Empire, Nelson Johnson chronicles reforms to the system through the dramatic stories of Arthur T. Vanderbilt—the first chief justice of the state’s modern-era Supreme Court—and Frank Hague—legendary mayor of Jersey City. 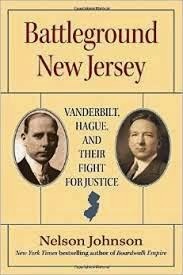 Two of the most powerful politicians in twentieth-century America, Vanderbilt and Hague clashed on matters of public policy and over the need to reform New Jersey’s antiquated and corrupt court system. Their battles made headlines and eventually led to legal reform, transforming New Jersey’s court system into one of the most highly regarded in America. Vanderbilt’s power came through mastering the law, serving as dean of New York University Law School, preaching court reform as president of the American Bar Association, and organizing suburban voters before other politicians recognized their importance. Hague, a remarkably successful sixth-grade dropout, amassed his power by exploiting people’s foibles, crushing his rivals, accumulating a fortune through extortion, subverting the law, and taking care of business in his own backyard. They were different ethnically, culturally, and temperamentally, but they shared the goals of power. Relying upon previously unexamined personal files of Vanderbilt, Johnson’s engaging chronicle reveals the hatred the lawyer had for the mayor and the lengths Vanderbilt went to in an effort to destroy Hague. Battleground New Jersey illustrates the difficulty in adapting government to a changing world, and the vital role of independent courts in American society. Indiana University-Bloomington is accepting applications for the Jerome Hall Postdoctoral Fellowship. The application deadline (recently extended) is Friday, February 6, 2015. The Indiana University Center for Law, Society, and Culture will appoint two post-doctoral fellows for the 2015-16 academic year. We invite applications from scholars of law, the humanities, or social sciences working in the field of sociolegal studies. Pre-tenure scholars, recently awarded PhDs, and those with equivalent professional degrees are encouraged to apply. Advanced graduate students may also apply, but evidence of completion of the doctoral degree or its equivalent is required before beginning the fellowship. You can find a list of former postdoctoral fellows here. Alarmed by recent headlines regarding the demise of organized labor in the United States, I turn to the founding of the republic to show that hostility to labor unions has a long history. I rely on a foundational case from Pennsylvania, Commonwealth v. Pullis (1806), in which a shoemakers’ labor union was tried for conspiracy and crushed. Robert Cover’s seminal treatment of legal violence as an outcome at trials is central to my argument. I apply Cover’s definition of violence to the Pennsylvania case, and expand Cover's definition so that violence is not only visible in the result of the case, but also in the process driving the outcome, which includes the legislature, judge, lawyers, and the jury, and the context surrounding the trial. I argue that legal violence includes coercion; as such, violence is adaptive and insidious. It is powerful in its use of language and context. 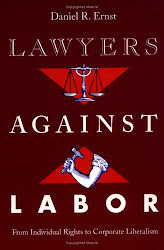 Overcoming such violence requires a redemptive act in which those disfavored by the law, like organized labor, recall their legal experience and, attracting new supporters, transform the legal landscape so that it accepts them. This paper is a critical commentary on Jean-Christian Vinel’s 2013 book, The Employee: A Political History. In substance, Vinel’s book addresses the history and consequences of the failure of American unions to organize supervisory employees. However, as befits a book published in a series created “to reverse the fragmentation of modern U.S. history and to encourage synthetic perspectives on social movements and the state,” it ranges rather more broadly. 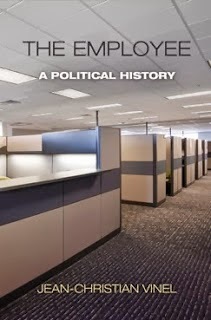 Thus, the book is a legal and political history of a word (“employee”). It also attempts an intellectual history of American industrial relations theory, and of the course of labor relations law from the New Deal into the twenty-first century. It is also a brave effort to synthesize the distinct “critical” and “industrial realist” strains of labor relations history that spent the better part of the 1980s and 1990s, amid the unfolding, never-ending, crisis of American trade unionism, arguing over how to interpret the legacy of the New Deal’s collective bargaining policy. And it is an effort at a critique of both those positions (although Vinel’s sympathies are ultimately with the realists.) Finally, while indubitably an American history, The Employee is intermittently comparative. This commentary assesses sympathetically Vinel’s efforts, but parts company from his conclusions. The winner will receive a $500.00 prize from Cengage Learning and up to $1,000 for expenses associated with attendance at the AALL Annual Meeting. The runner-up will have the opportunity to publish the second-place essay in LH&RB's online scholarly journal Unbound: An Annual Review of Legal History and Rare Books. The entry form and instructions are available at the LH&RB website. Entries must be submitted by 11:59 p.m., March 16, 2015 (EST). Tomlins's Foreword to "Law As ... III"
Thomas's "In Food We Trust"
Swain's "Law of Contract, 1670-1870"